"When travelling, the attitude of the natives can seriously affect how much you enjoy your stay. A warm welcome can boost your spirits and help you feel at home, whereas a frosty reception will have you feeling homesick before you’ve even spent a night in your host country" - The Richest web portal reports. If a nationality gains a reputation for being particularly warm and welcoming – or conversely, particularly hostile to foreigners – it can have marked influence on the nation’s tourism industry. Between November and February, Skopje and surrounding areas can experience thick fog. This can sometimes cause delays or diverted flights if visibility at Skopje airport is affected. Updates of arrivals and departures, as well as delays and cancellations due to weather conditions can be found on the Skopje airport website. You must register with the local police in the town/city where you are staying within 24 hours of your arrival in Macedonia, unless you are in a hotel in which case you will be registered automatically on checking-in. If you don’t register you may receive a fine of between 600 to 1,000 Euros, and be detained or face a court appearance (which may include a restriction on your ability to return to Macedonia). A valid driver’s license in conjunction with an International Driving Permit is required for foreigners to drive. Driving is on the right side of the road. Drivers and passengers should always wear seatbelts. Drivers are not allowed to use a cell phone while driving. Speed limits are posted. Maximum speed limit in populated areas is 60 km/h. Use of headlights is mandatory day and night. Laws regarding driving under the influence of alcohol are strict and a driver with a blood alcohol level reading higher than 0.05% is considered to be intoxicated and can be charged. Road conditions differ significantly from those in the Western countries. High speeds, unpredictable drivers and pedestrians, poor vehicle maintenance, uneven road surfaces and widths, and poor lighting all contribute to precarious driving conditions. Pedestrians should exercise extreme caution when crossing the street. Most major highways are in good repair, but secondary urban and rural roads vary widely in condition and lighting. Horse-drawn carts, livestock, rocks, or other objects are sometimes found in the roadway. Many vehicles are quite old by Western standards. Mountain roads can be narrow, poorly marked, lacking guardrails, and quickly become dangerous in inclement weather. Most visits to Macedonia are trouble-free. Occasional acts of criminal violence occur, although foreigners are not generally targeted. Police support for foreigners who are victims of crime is very satisfactory. The language barrier can be a major concern when calling for emergency assistance. In case of emergency while on the road, drivers may contact the police at 192 or go to the nearest police station, the Fire Brigade at 193, the Ambulance Service at 194, Roadside Assistance at 196. 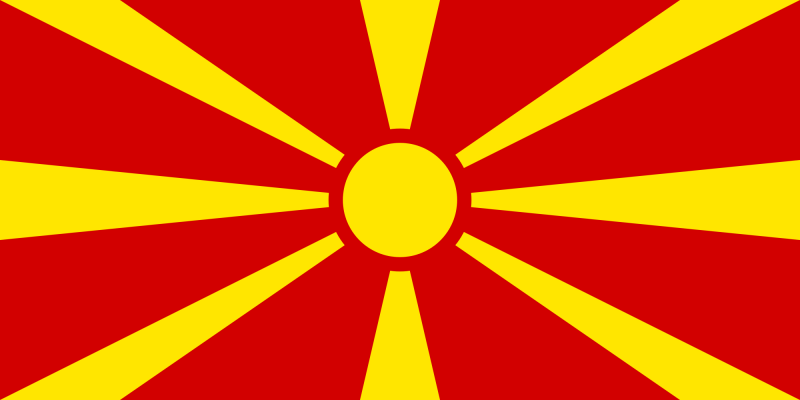 The Republic of Macedonia is in an active seismic zone and is subject to earthquakes. Bush and forest fires may occur during summer months (usually June to September). You should monitor local media reports for updated information. The official currency is the Macedonian Denar (MKD). Credit cards are accepted in most hotels and shops, and ATMs increasingly accept international bank cards. Foreign banks usually do not exchange Denars so you may wish to exchange any unwanted Denars before you leave Macedonia. You should only change money through banks or official exchange offices and not through street dealers. You must declare any cash amount of foreign currency greater than 10,000 EUR on entry into Macedonia. Failure to do so may result in detention and forfeiture of funds when attempting to leave Macedonia. ATMs are widely available in Macedonia. According to checks conducted by the State Sanitary and Health Inspectorate, the water in Ohrid, Prespa and Dojran lakes are suitable for swimming, recreation and water sports. However the rivers Vardar and Treska as well as Lake Treska are rated below the level suitable for swimming.